What is white spot|What is the reason|Know what is true. Vitiligo i.e. white stains is a long term problem in which the skin's growing patch lose its color., gender or ethnic group. Patches are visible when melanocytes die within the skin. Melanocytes are the cells responsible for the production of skin pigment, melanin, which give the skin its color and protect it from the sun's UV rays. The total area of ​​skin affected by vitiligo varies among individuals. It can also affect the eyes, the inside of the mouth and the hair. We are telling you through this article about the misconceptions and truths related to this problem. It is an auto immune disease, in which the person's disease-resistant capacity starts harming his skin. This is the result of the disorder of the body's immune system. In such a situation, the cells called melanocytes, which determine the color of the skin, will gradually get destroyed, resulting in white spots on the skin. Usually this problem is visible on the lips and hands and feet. Apart from this, such stains may also appear on many different parts of the body. Inheritance, i.e. if the parents have this disease, it also increases the fear among children. However, it is not necessary that every person's children also suffer from such problems. Small spots begin to form on some people's body and the weeping starts to disappear from that place. It is called allopasia aratiata. In the future, the same problem can also cause Vitiligo. Sometimes changes in the color of the skin around the berth mark or wart begins, which can cause Vitiligo problems. People may have such a problem because of gum, synthetic socks, poor quality beauty products or footwear in the bindi. Therefore, when purchasing such things, their quality should be especially taken care of. Due to more chemical exposure, myths may also be exposed. 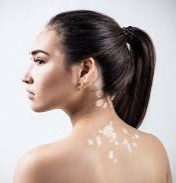 If a person works in a factory where plastic, rubber or chemicals are used in very large quantities, such a person may also have Vitiligo problem. If there is whitewash in the color of the skin, if the hair becomes white then it can start this disease. Usually such symptoms do not appear to be itching or pain like symptoms and skin sensitivity persists. Yes, due to sweating in the summer season, there may be some irritation in the affected area. About Vitiligo, many such misleading assumptions are prevalent in Indian society, which are completely baseless. Let's know about some of the same misconceptions that are a problem for those suffering from it. Like other skin-related diseases, white stains are also a skin disease whose treatment is possible. This problem can happen to anyone. Therefore it is wrong to understand the consequences of the bad deeds of ancestor. In scientific view, this assumption is also untenable that consuming milk products after eating fish causes this problem. Some people fear that it is the beginning of leprosy, ie leprosy, but it is not really that. It has nothing to do with leprosy. It is also said that this is the initial symptom of skin cancer and can lead to the loss of a person. This assumption is completely wrong. This disease is very different from cancer and there is no danger to the patient's life. The sad fact is that some people treat it as an infectious disease and behave like untouchables with its patients, while the truth is that this disease is not infectious in any way. It does not touch the patient's skin touch or eat with it and transmits it to another person. Therefore, do not treat people suffering from this disease apart from yourself and treat them smoothly. If your skin is more sensitive then stay away from sharp odor soap, perfume, dio, hair color and pesticides. Some people also use tattoos to hide the stain. Never do that. This increases the fear of its spread. Many times, after a year and a half of the treatment, if the skin gets stained again, then such medicines may be needed again. If the white marks are not visible for two years then it is likely that there will be no such problem now. Skin grafting techniques are adopted for its treatment. In this, the skin of any one place is removed and stained on the stained portion, through which the stains are hidden. Another technique is - section blister epidermal grafting, through which normal skin is divided into two separate parts through vacuum and placed on top of the stained part, due to which the color of the skin is absorbed in the place of melanin stained slowly -He starts to change the white color there. There is no need to apply stitch in it and after three-four months the color of the skin becomes normal. In melanocyte epidermal cell technology, a small piece of normal skin is extracted from the melanin, then converted into liquid and transported to the stained portion through the injection. Soon the skin returns to its normal color. Good to control the problem.